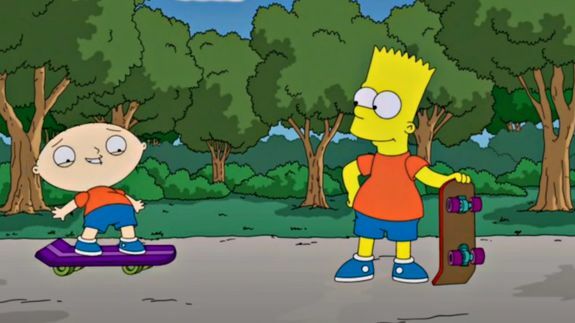 'The Simpsons' and 'Family Guy' Crossover Episode Is Nearly Here - trendistic.com: ever tried. ever failed. no matter. try again. fail again. fail better. The Simpsons wild child Bart looks as though he’ll be taking Family Guy‘s Stewie Griffin under his mischievous wing this fall when Fox brings their animated families together.